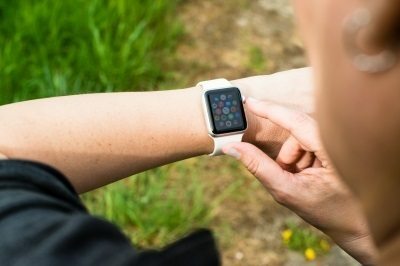 Critical parameters for a wearable health device are the ability to measure multiple parameter, accuracy of readings and a long battery life, writes Jan-Hein Broeders, healthcare business development manager Europe, Analog Devices. Since the first pedometer came onto the market, a lot has been changed. Initially, the measurement was focused on just step counting, now additional functions and features have been added to the wearable device, such as measuring heart rate, body temperature and skin conductance. The wearable device which initially was meant for sports & wellness, is now slowly moving towards a more medical market. With this transition we have to rely more on the accuracy of the measurements and battery lifetime. The heart can be seen as the engine of the human system. Without a well-performing heart and heart-beat we can face serious health Issues. Monitoring the heart function is a key priority, for that reason. There are many good reasons for checking heart rate that go beyond the number of beats per minute. We can retrieve a significant amount of additional information from the behaviour of the heart in terms of the frequency as function of activity. When more activity is asked from the body, the heart rate should go up to bring more nutritious- and oxygenated-blood to the cells. A continuous high heart-rate is not good, as neither is a fast changing heart-rate, which could be an indicator of a cardiac disease such as atrial fibrillation. Another parameter is heart rate variability (HRV). When a person is relaxed, their heart won’t beat with a fixed number of beats per minute, but should experience a slight variation around the heart frequency, something in the range of ±3 beats per minute. This variation is an indicator for being relaxed. When people get stressed or get a startled response, the adrenalin level in the body goes up and the heart starts pumping with a monotonic frequency. For that reason the parameter-HRV is important to monitor. The classical way for retrieving cardiac signals is by bio-potential measurement with an electrocardiogram (ECG), however this is not easy to integrate in a wearable devices. A trend for measuring heart-rate other than bio-potential, is by making use of an optical principle. This technology has existed for quite some time and is called photoplethysmogram (PPG). 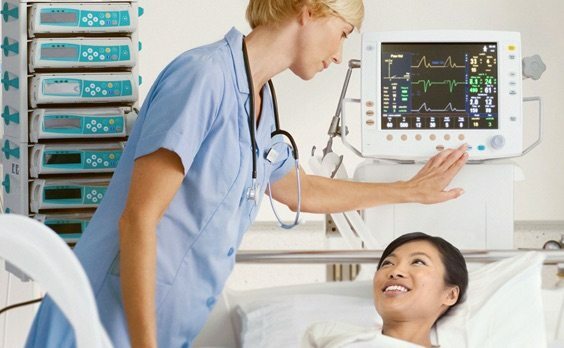 PPG-technology has been used in systems for measuring oxygen saturation in the blood (SPO²). For SPO² measurement you are sending two wavelengths of light through a particular part of the body (usually the finger or earlobe) and you measure the percentage of oxygenated haemoglobin, versus the total amount of haemoglobin. This technology also allows you to measure heart-rate, it is commonly used in wearable systems such as small wrist-worn devices, where unlike with biopotential measurement, it is possible to pick up the heart rate using a single measurement point. The ADPD174 from Analog Devices is an optical sub-system, which has been designed to support these applications. SPO² measurement is usually performed with a clip on the finger of earlobe. Light is sent through a part of the body and at the opposite site the received signals are being measured by a photo diode. With this transmission technic, we are measuring the amount of received or not-absorbed light. Integration of transmissive measurement however, is not an easy task in a wearable system, where comfort is key, therefore reflective measurement is more commonly used. In a reflective optical system, light is sent into the surface of the tissue, whereupon a part is absorbed by the red blood cells and the remaining light is reflected back up to the tissue surface and measured by a photo sensor. In a reflective system the receive signals are up to 60dB weaker, so we need to pay more attention to the transmit and receive signal chain, on both electrical as well as the optical aspects. During a heart-beat, the flow and volume of blood changes, resulting in scattering the amount of reflected light received. The wavelength of the light that is used for measuring the PPG signals varies depending on a number of factors; the first being the type of measurement. Here, we will limit discussion to heart-rate and variation. For this measurement, the required wavelength depends not only on the location on the body where we are measuring, but also on the relative perfusion level, temperature of the tissue and colour tone of the tissue. In general for wrist-worn devices, where arteries are not located on top of the wrist, you need to pick up pulsatile components from veins and capillaries just under the skin surface. A green light in these applications gives the best receive. At places where there is enough blood-flow, like the upper-arm, temple or ear canal, red or infra-red (IR) will be more effective as it penetrates deeper into the tissue. Especially for wearable application where battery power and size is always an issue, red or IR LEDs bring an additional advantage, as they require a lower forward voltage. For applications where coin cell batteries are used, these LEDs can be driven directly from the battery voltage. Green LEDs need a higher forward voltage that requires an additional boost converter and so will have a negative impact on the overall current consumption of the system. If green LEDs are still required, the ADP2503 buck/boost converter supports a higher LED forward voltage up to 5.5V, operated from an input voltage which can go as low as 2.3V. The next step is to select the most appropriate optical solution. There are many choices in terms of analogue front-ends, either discrete built or fully integrated. To minimise design efforts and to shorten time-to-market, Analog Devices has built a fully-integrated optical sub-system for reflective optical measurement. The ADPD174 contains everything needed to run an optical measurement. In figure 3, you’ll find the block diagram of the ADPD174 sub-system. The size of the module is 6.5 x 2.8 mm which makes it extremely attractive for wearable systems. While sunlight is not too difficult to reject, light from fluorescent and energy-saving lamps, which include AC components, are difficult to cancel. The ADPD174 optical module has a two-stage ambient light rejection function. After the photo sensor and input amplifier stage, a bandpass filter is integrated, followed by a synchronous demodulator, to offer best in class rejection for ambient light and interferers from DC up to 100kHz. The ADC has a resolution of 14bitsand up to 255 pulse values can be summed to get a 20bit measurement. Additional resolution up to 27bit can be achieved, by accumulating multiple samples. The ADPD174 operates in two independent time slots, to measure two separate wave-lengths, for example, and can carry out the results sequentially. During each time slot, the complete signal path is executed, starting with LED stimulation followed by photo signal capturing and data processing. Each current-source drives the connected LED with currents up to 250mA. Control over the pulsing of the LED keeps the average power dissipation low and contributes to the power savings and battery life of the system. The advantage of this LED driving circuit is that it is dynamic and scalable on the fly. There are many factors that can affect the SNR of the received optical signal, such as skin tone or hairs between sensor and skin which impact the sensitivity at the receiving side. For this reason the excitation of the LEDs can be configured easily to build an auto-adaptive system. Timing and synchronisation is handled by the AFE, so there is no overhead required from the microprocessor in the system. It is possible to tune the gain of the transimpedance amplifier (TIA) in combination with setting the maximum LED peak current. After optimising the LED current and TIA gain, the number of LED pulses can be increased to get more signal. Be aware that increasing the LED peak current increases the SNR proportionally, whereas increasing the number of pulses by a factor of n, results in an SNR improvement of the root of n (√(n)) only. Finding the optimum settings for a heartrate device also depends heavily on the user. The user’s skin tone has impact on the signal strength, as well as device positioning, temperature and blood flow. For calculating the power consumption, the optical front end can be seen as two separate power contributors, IADPD and ILED. IADPD is the current consumed by the input amplifier stage, the ADC and the digital state machine. The LED current ILED, will change with the person’s skin tone and the position of the sensor on the body. For darker skin tone more LED current is needed for sensor position on the body when there is very little blood-flow. The average LED-current is changing with the LED drive pulse-width, the number of pulses and the ADC sampling time. The average LED current is the maximum LED current, multiplied by the pulse width and the number of pulses. This can be seen as one timeslot and repeats every time a new sample is taken. The pulse width can be as narrow as one micro second. For a good heart rate measurement on the wrist, an LED peak current is required of around 125mA, when using two pulses with one micro second width. Considering a 100Hz sample frequency, the average LED drive takes 25microA. Adding 250microA average AFE current, means that the optical front end consumes 275microA at 3V at 825microW). Another challenge to overcome in a reflective-mode optical system, which is called internal light pollution (ILP). Ideally all light from the LEDs is sent into the tissue, and only reflected light is seen and measured by the photo sensor. In real life, however, LED light can be reflected by the transparent window of the housing and sent back directly to the photo sensor without penetrating the tissue. This ILP effect results in a DC offset and will limit the AC component of the signal, also called modulation index (MI). ILP can be resolved by separation of the window, however this is very difficult and costly to implement in volume production. The ADPD174 has a specially designed housing to reduce the ILP behaviour without requiring the separation of the transparent window in the housing. In an optical system, besides light interferers, the interference of motion needs to be cancelled. Motion has an impact on the overall performance of a wearable system, as it can change the mechanical connection or contact to the tissue, which gives errors in the optical reading. Therefore it is important to measure the motion of the device and compensate for the interferers. ADI’s power three-axis ADxL362 MEMS sensor measures all three axes and has an integrated 12bit SAR ADC resulting in an least significant bit (LSB) of 1milli g. It communicates over a digital SPI. The power dissipation scales with the ADC sampling rate and at a data output rate of 100Hz per axis, the sensor dissipates only 1.8microA. It is available in a 3.0 x 3.0mm package. A new generation is in development, using a quarter of the ADxL362 PCB area. What is still is something connecting all these sensors together, running the required software algorithms and the ability to either store, visualise or transmit the results. The ADuCM3027/29 Cortex-M3 processor is a low power, mixed signal micro-controller, consuming less that 38microA per MHz of processing power. The processor has a maximum clock frequency of 26MHz and can be operated in four different power modes. The mixed signal front-end includes a 12bit SAR-type ADC, reference buffer and temperature sensor. There is 128 or 256kbytes of on-board flash memory, 4kbytes of cache memory and 64kbytes of SRAM on-board. To protect code and algorithms, the device content cannot be read through an external interface by an unauthorised user. 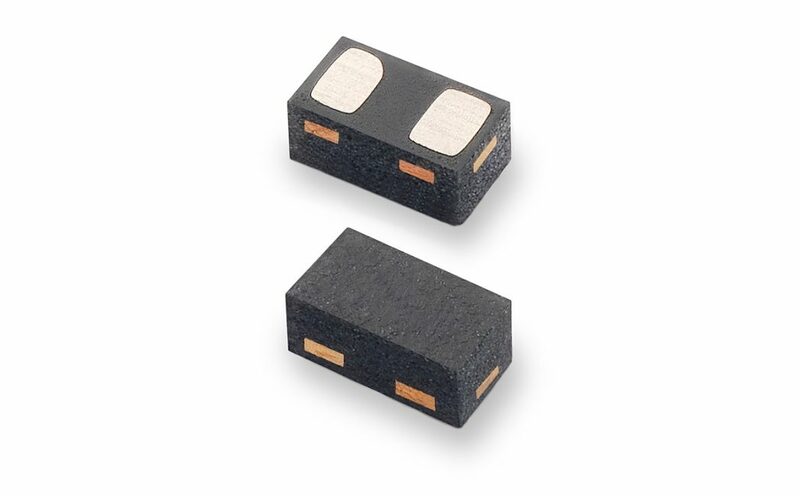 The processor can be operated from a single operating voltage between 1.8 and 3.6V, where internally the core voltage of 1.2V can be generated by either the on-board LDO or its more efficient switch capacitor step-down converter. Wirelessly uploading measurement results to a host processor requires considerable system power. Pre-processing the measurement results will help to reduce the amount of data which needs to get transmitted, bringing additional power savings. The choice of chips and sub-system ensure that health and sports and wellness devices can operate for a very long time from a single coin cell battery. The challenge is always to build the system with good enough performance at the lowest possible dissipated power. An auto-adaptive algorithm can help to improve the overall performance and to find the sweet spot for the power consumption of your system. Each time the device is used, small changes in the settings can be made to reach the optimal SNR performance and related HRM-accuracy, for the amount of power spent.